Asustek is stressing high-speed cellular connectivity with its latest Fonepad 7 LTE tablet, announced on Monday at the Mobile World Congress trade show in Barcelona. The Fonepad 7 LTE has a 7-inch IPS (in-plane switching) screen and an LTE modem. The device uses the Android OS and has back and front cameras. The tablet -- Asus is going with "phablet" -- has an Intel dual-core Atom Z2560 processor code-named Clover Trail+. Intel on Monday announced a 64-bit Atom chip called Merrifield, a successor to Clover Trail+, which is now being moved down to low-cost tablets. Asus also introduced a new 3G model, the Fonepad 7, which could offer longer battery life than a similar model already sold by the company. The company's Fonepad 7 with 3G that is already on sale has the Clover Trail+ processor, but the new model introduced at MWC has a slower and lower-power Intel Atom Z2520 processor, which should prolong battery life. The 7-inch screen can display images at a 1280 x 800-pixel resolution. Other features include up to 32GB of storage, a 1.2-megapixel front camera and a 5-megapixel rear camera. More specifications, pricing and availability information on the tablets was not immediately provided. The Fonepad was originally launched for developing markets, but the LTE model will likely be targeted at mature markets like the U.S., where LTE networks have already been deployed. Asus also introduced a new Android user interface called ZenUI, which will first appear in the recently announced PadFone Mini, PadFone and ZenFone products. It won't immediately be on the new Fonepads. 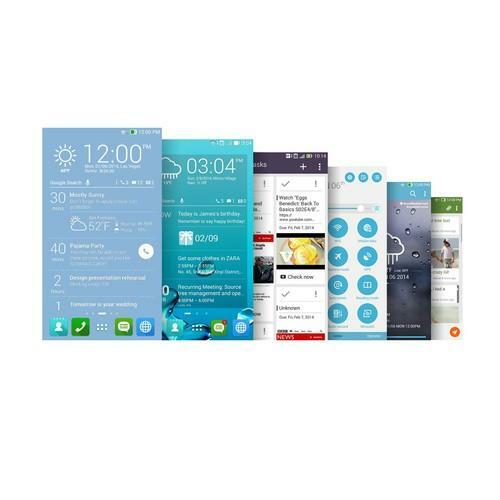 The ZenUI brings a modern user interface with flat icons and new color options, the company said in a statement. The user interface also has new ringtones, and notifications: "What's Next" prioritizes and displays important information such as appointments, calls and messages from close friends. "Do It Later" is the opposite, showing reminders at later times on things that are less important.